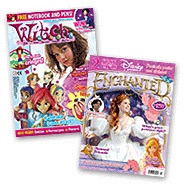 Panini in the UK has added two new Disney magazines to its portfolio: one a new launch and the other an existing magazine it is taking on from BBC Magazines. Disney Presents launches with content on Enchanted to tie in with the release of the film on DVD. In addition, Panini is taking on the publishing of WITCH magazine from the BBC from May 14th. 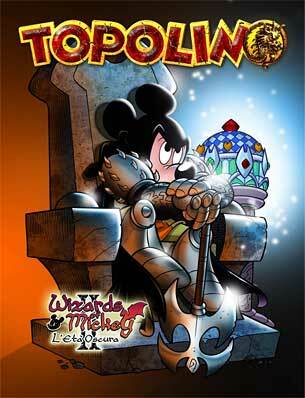 Italian weekly Topolino (“Mickey Mouse”) has started the second series of comic stories in the Wizards of Mickey saga that stars Mickey Mouse, Goofy and Donald Duck in a new world of wizards and castles. The first chapter, written by Stefano Ambrosio and drawn by Marco Palazzi, appeared in issue #2680 of Topolino this week. The new series, titled “The Dark Ages”, is accompanied by a large advertising campaign in Italy; check out this great promotional website. The first series of Wizards of Mickey started in October 2006; you can download all ten chapters of the first series on this official website. 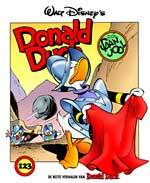 The Karikaturmuseum in Krems, Austria has an exhibition titled “Donald Duck … and the duck became human, The Drawings and Poetic Works of Carl Barks”. The exposition is from 25 March to 4 November 2007 and has more than 400 original works of art, including 290 from the collection of Gottfried Helnwein.